The Cognac Magnum Glass serves the strongest Cognac with consummate perfection. The big-bellied shape encourages Cognac and other barrel-aged products to optimally develop their bouquets, and it supports the voluminous symphony of their aromas and flavours. 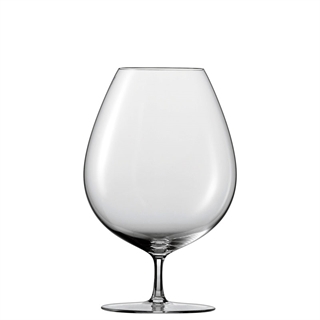 Suitable for Cognac, Grape Brandies, Brandy.